Platinum Pen Co., Ltd. (Headquarters: Tokyo, President Toshiya Nakata) has launched the “Ultra-Fine 02 EF” nib into its “PREPPY” fountain pen series. Since its debut in 2007, the PREPPY series has grown in popularity due to the PREPPY’S outstanding quality and the remarkable low price. The new Ultra-Fine PREPPY has been redesigned with new graphics, Japanese and English instructions, mixed metal nib and is manufactured in Japan. We have added the Ultra-Fine nib to our lineup in response to customers’ requests for pen nibs suitable for fine writing. The new 02 Ultra-Fine nib provides exceptional performance and enables one to enjoy the smooth writing & unique feeling of a fountain pen. A sensitive process is required in producing the Ultra-Fine nibs. 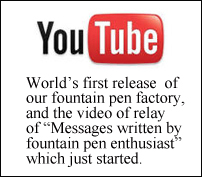 The final process has been manually completed which is similar to many of our luxury fountain pens. 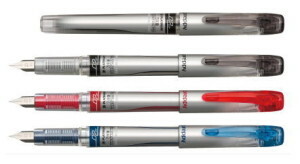 The new PREPPY 02 Ultra-Fine provides a smoother writing experience for a very reasonable price. Just as the with the existing PREPPY models, Fine 03 F, and Medium 05 M, the new product also utilizes the “Slip & Seal Mechanism” that prevents ink from drying out in the pen, even after a year without use. Your PREPPY provides smooth writing anytime. The nib, made of a mixed metal, which provides a nib that is excellent in abrasion resistance. You can enjoy the NEW PREPPY Ultra-Fine for many years to come. The new PREPPY Ultra-Fine is available in Black PPQ-300 #1, Blue-black PPQ-300 #3 and Red PPQ-300 #11.